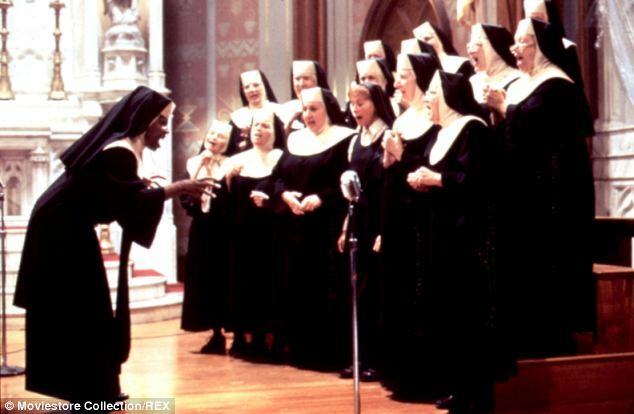 To most, Sister Act is a feel-good musical comedy which sees nuns combat crime in San Francisco. But it seems the 90s blockbuster may also be the inspiration for London's latest approach to tackling slavery and trafficking. Drafting in more than 450 nuns from a Spanish order, the Metropolitan Police Force has uncovered 250 kidnapped women in Kensington, Chelsea and Westminster over the past year. The European-funded scheme has been backed by Pope Francis, who met with Detective Chief Inspector Kevin Hyland on April 11. Describing the unusual move, DCI Hyland said: 'Women from religious orders are in our cars on operations, at the coal face, on the front line. Experts have found victims are reluctant to interact with police as they are made to believe officers will beat them. 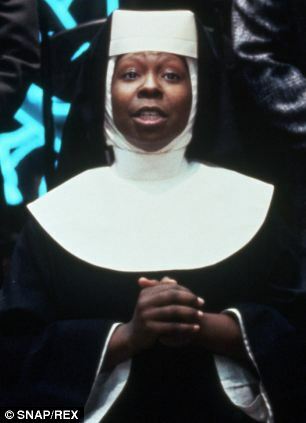 Sister Act was one of the highest grossing films of the 1990s. Starring Whoopi Goldberg as a singer-turned-crime fighter, Maggie Smith as mother superior, and Lauryn Hill as a wayfaring teenager, the story is an emotional journey to tackle crime in San Francisco. Goldberg, as Deloris Van Cartier, is a lounge singer in the Reno Lounge, which is run by her mobster boyfriend Vince LaRocca. One night, she sees him kill his chauffeur, and he orders his cronies to kill her too. Reluctantly taking refuge in Poor Clares, Deloris is persuaded to take on the persona of Sister Mary Clarence and live the strict life of a nun. She resists the lifestyle - until she bonds with some of the sisters over a piano. And when she performs a rock-n-roll version of Hail Holy Queen at Sunday Mass, crowds of people - including teenagers - flock in off the street. Newly-inspired, she takes her music to the convent classroom in a bid to get the kids off the path to crime and destitution. As they move through the city, successfully saving people from a life of crime, word spreads and eventually Pope John Paul II travels to witness their work. With the help of plain-clothed nuns, many of whom speak Spanish, officers can communicate more effectively with the women. The sisters, mostly from South America, Spain and India, have been accompanying officers on late-night raids since January 2013. Plans are now being drafted to roll out the scheme across Britain following the unexpected results. Pope Francis hailed the scheme as a model for police forces worldwide. The scheme, believed to be the first of its kind, echoes the 1992 Whoopi Goldberg classic - now a sell-out production on London's West End. 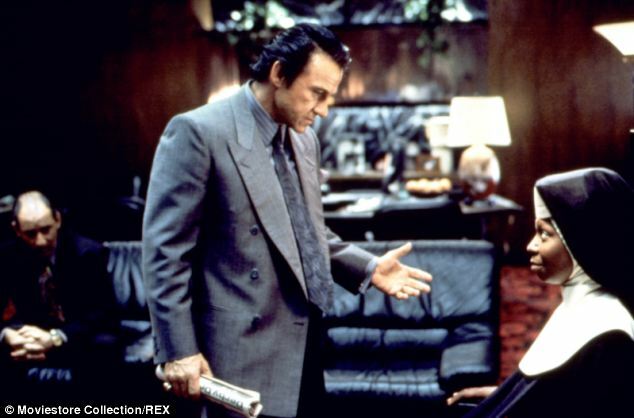 Playing a singer on the run from her mobster boyfriend, Goldberg's character Deloris Van Cartier is put under protective custody in Poor Clares convent. For her safety, she is told to disguise herself as a nun. Indignant, she initially objects to the simple and strict life of the convent. But after befriending some of her fellow nuns at the piano, Deloris is inspired to use music to bring the community together. The rest of the film is an emotional journey, following the Poor Clares sisters as they reach out to San Francisco, and work with the underprivileged teenagers at the convent school, seemingly destined for a life of crime. Now, with the backing of the pope, cities across the world could see the format cropping up. Sir Bernard Hogan-Howe, the Metropolitan Police Commissioner, said the pope's backing emphasises the effectiveness of the project. 'By making such a declaration it encourages governments to take this to a very high priority,' he said. Cardinal Vincent Nichols, the Archbishop of Westminster, told Vatican Radio: 'What we want to do is explore the way in which the pattern of co-operation between the Church - particularly religious women. 'The Metropolitian Police is having a beneficial effect in the struggle against human trafficking.